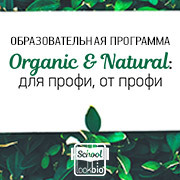 «Raw Materials & Packaging» Magazine is the only source of technical and practical information for perfumery, cosmetics and household products industry in Russia and C.I.S. Editorials present articles and scientific information from leading experts on new ingredients, formulations, production methods, innovations in packaging and other subjects. The commercial section contains offers from suppliers of components, packaging and equipment, contract manufacturers, test laboratories. Periodicity 10 issues per year and 2 Specialized editions: «Nonwovens in Hygiene, Personal & Home care» and «Equip manufacturing. Laboratory, Processing and Packaging equipment». 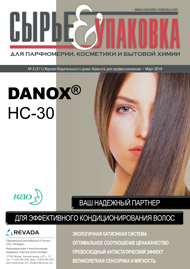 The magazine is published in the Russian language, with a summary in English. Circulation: 3500 copies. Distributed by subscription and within a personal customer base on the territory of Russia and C.I.S. countries. Business portal of cosmetic industry www.cosmetic-industry.com is the key resource for professionals involved in the development, production and promotion of cosmetics, perfumery and home care products. Cosmetic-industry.com today offers information enabling to obtain a real contemporary picture of the main players and the market trends, to be posted about the current events and to follow the industry development tendencies. Presentation and targeted news update of the interested audience, direct interaction with potential customers. 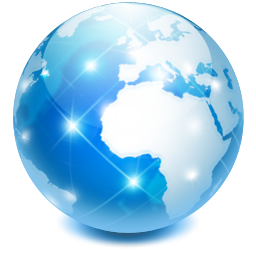 ➤ A list of Suppliers of Ingredients, Packaging, Manufacturing equipment and Private Label and Laboratory Services in the field. ➤ Vacancy openings in the field. ➤ Electronic library of formulations. ➤ A variety of information presentation. active specialists of the field from Russia and C.I.S.